It’s been a looooong winter, folks. The only thing that helped me deal with the effects of cabin fever, some days, was dreaming about the things I could do when Spring and Summer finally arrive. I thought you might be interested in some of the ideas I’ve seen on other blogs for backyard projects. 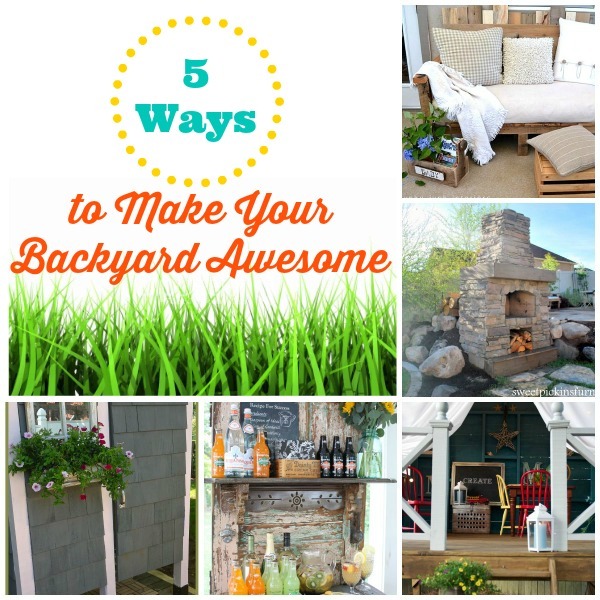 Check out these five ways to make your backyard awesome!